Alas, our holiday is over and we have returned to the land of toil and turmoil. How best can I describe our two weeks in the Far East? Perhaps I should start at the beginning, with a question I was asked on day one and several times more. Sometimes by tourists, but usually by tour guides and hotel staff. Why Vietnam? It's a fair question, I guess. There are numerous other countries we could have chosen to visit. I was often tempted to answer the question with the cliched return question - why not Vietnam? But besides being a slightly churlish and unfriendly answer, I had quickly gathered why they were asking. Tourism is still relatively new to Vietnam. Where did all these people come from? And why? Over much of the last century, the Vietnamese have put rather a lot of time and effort into violently repelling 'visitors' to their country. Inviting people in and making them feel at home is something of a novel concept. 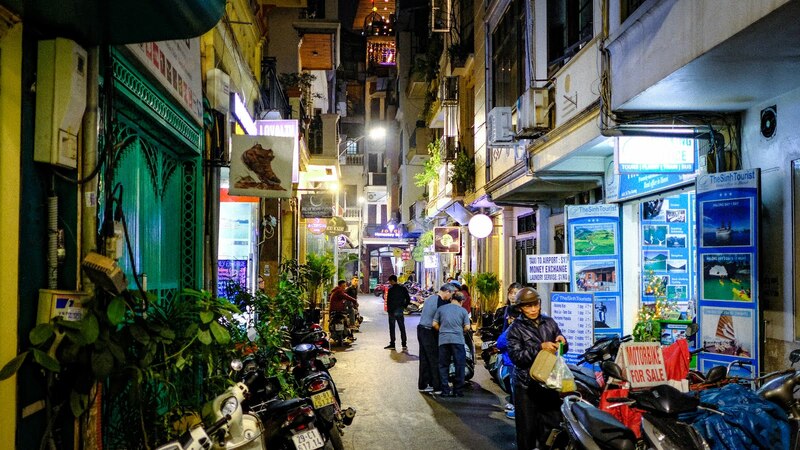 Happily, the quality of visitor entering Vietnam has improved considerably over the last couple of decades, and the number of people coming over to the country has soared from a paltry two million in 2000 to a a little over seven million in 2015, to a whopping fifteen million last year. That's pretty impressive growth, especially over the last three or four years. Vietnam is a now peaceful country, determined to reap the dividend and is busy building a thriving tourism industry. There's no escaping the fact that the wars against first the French and then the US put Vietnam in the public consciousness. 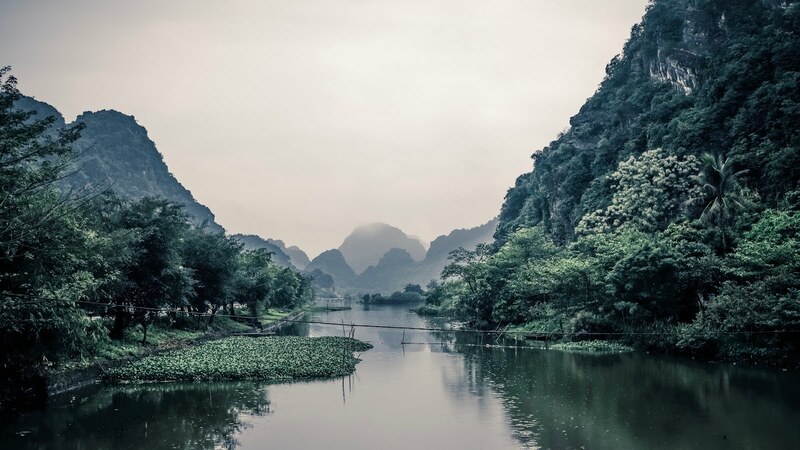 The movies that followed in the 1980s also showcased the lush, beautiful scenery to be found in rural Vietnam. Well, providing you can overlook the inconvenient reality that most of the big films were shot in Thailand or the Philippines. Or in the case of Full Metal Jacket, London. But recent Vietnam based shows have thrown a more positive and modern light on the region. The Real Marigold Hotel on Tour recently spent time in Hanoi. Jack Whitehall took his father there. And a few years ago, Top Gear filmed a special episode there. They raved about the country. 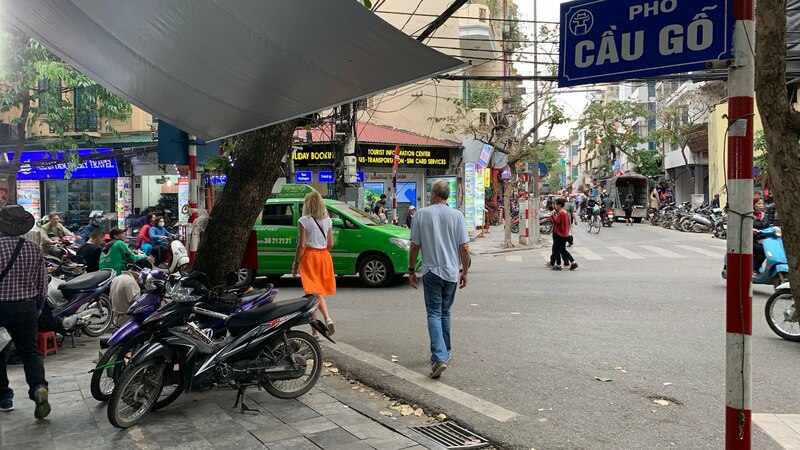 And funnily enough, I walked right past Jeremy Clarkson whilst strolling the streets of Hanoi. I'm not the sort to stop people in the street and demand a photo. So we just settled for stalking him for five minutes or so, until we began to feel a bit creepy and stopped. There's also the power of 'word of mouth' and digital media. Bloggers, Instagrammers, Twitterists and YouTubers are all extolling the wonders of Vietnam and sharing what they've found. Mrs P and I watched most of the Vietnamese episodes of the Best Ever Food Review Show before we went, which were entertaining, informative and inspiring. Although, ironically, the only place we went to that was featured in his show, a fried chicken joint, sucked eggs. Such is life. And of course, I'm now doing my bit to showcase the wonders of Vietnam too. In a previous post, Great Expectations, I wrote about one of the key factors in choosing to go to Vietnam now - the 'sweet spot'. I didn't want to be an early adopter, suffering my way through a country that just hadn't sufficiently developed its tourist infrastructure. Nor do I particularly want to visit anywhere that has become swamped with a plague of tourists. I thought that now is the time to visit Vietnam. Was I right? I think I almost got it right. Truth be told, I suspect that the very centre of that sweet spot was two or three years ago. But we managed to go on the edge of that sweet spot, and I'm happy for that. I suspect, I am certain, Vietnam will grow its tourist industry considerably in the years to come, but it's still a long way from turning into the next Thailand. Which, for the record, attracts about 40 million visitors a year. So, yes. Now is the time. And that is why Vietnam.